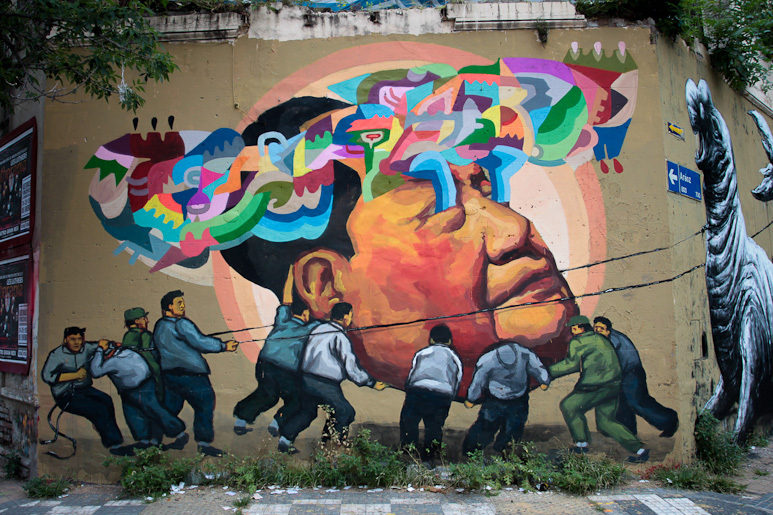 The anatomical dissections of local animals and Chinese propaganda, two types of imagery that you wouldn’t think would work as a collaboration. However, that is exactly what happened when ROA and Ever joined forces in Argentina for a joint mural entitled The people feed communism to the beast. 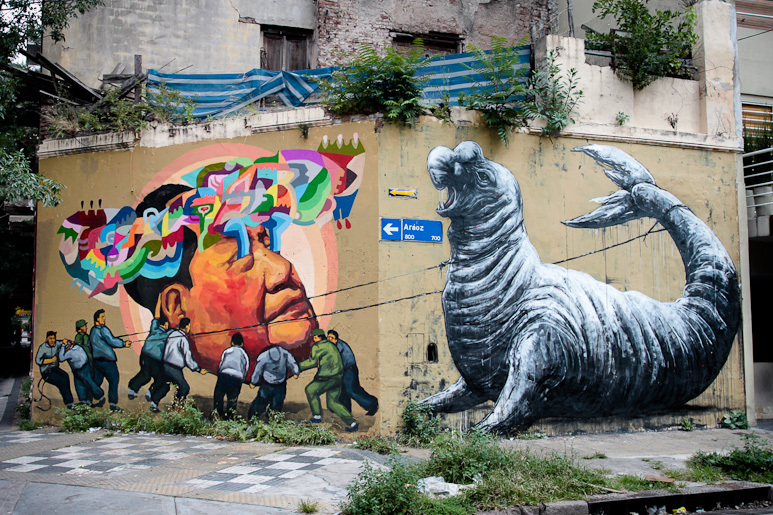 This piece, painted over the Christmas holiday, was placed on a squatted building in Palermo Viejo in Buenos Aires and features Mao head offered up to an elephant seal. 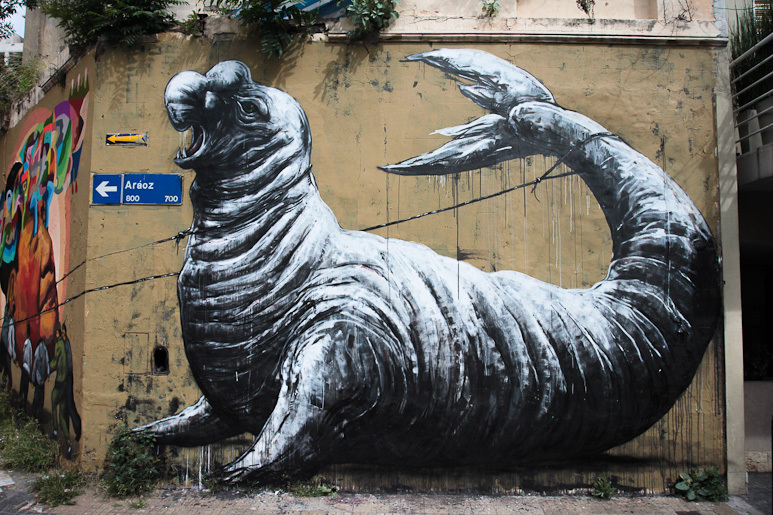 Categories: Features, Seen on Streets, Street & Urban Art. 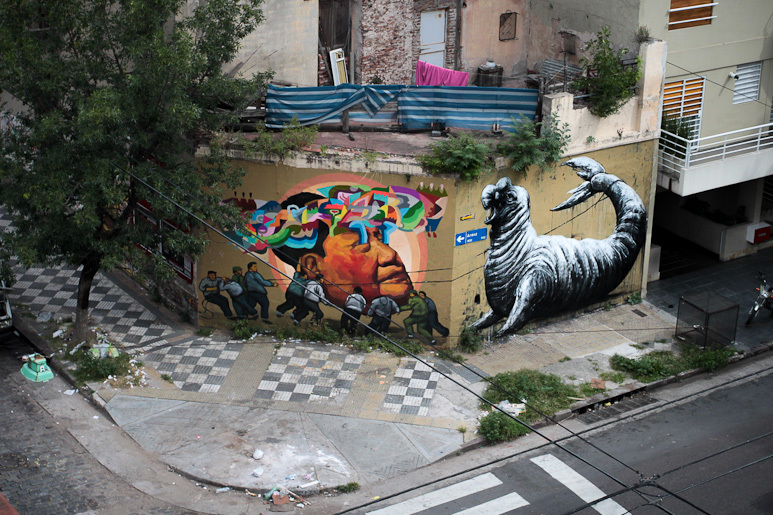 Tags: Buenos Aires, Ever, Features, Roa, Seen on Streets, Street & Urban Art.